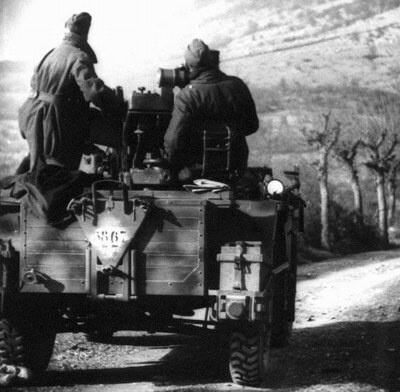 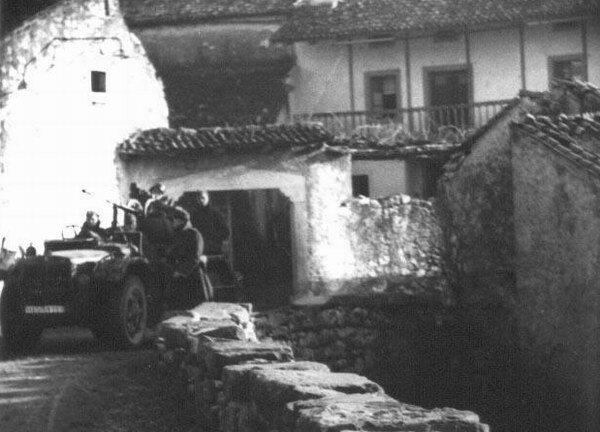 1944, beginning of the year, eastern Friuli or in the Gorizia province. 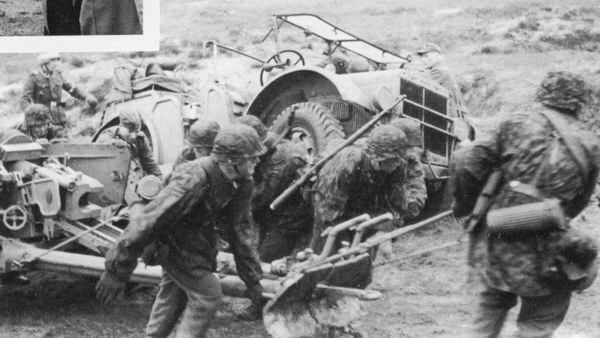 AS-43 weapon carrier light trucks, belonged to the Luftwaffe, armed with a 2 cm Flak 38, anti aircraft machine gun and MG 15 light machine gun. 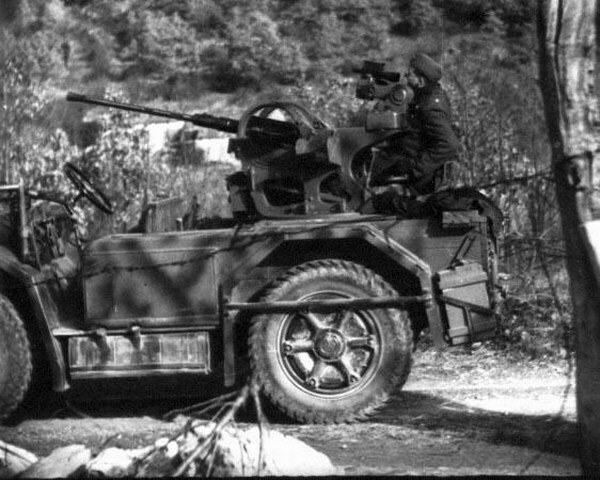 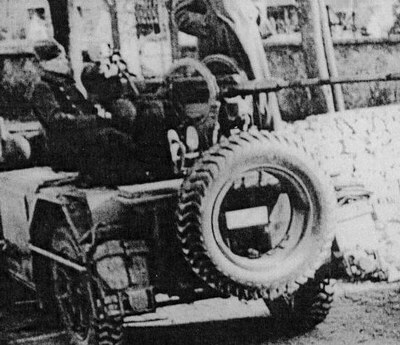 A.S 43 from Organisation Todt with a 20 mm Scotti, anti aircraft machine gun. 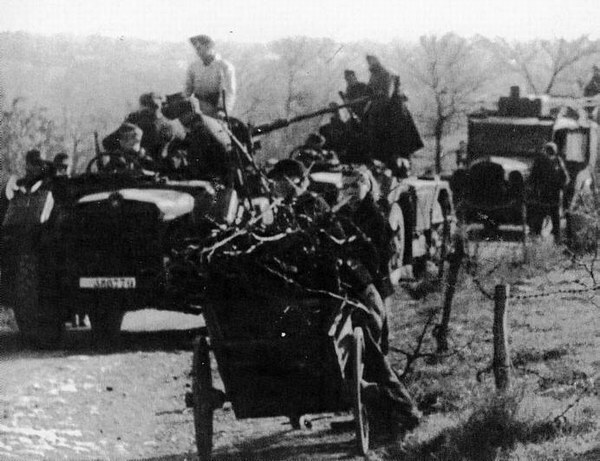 1944, beginning of the year, Turnhout area, Belgium. 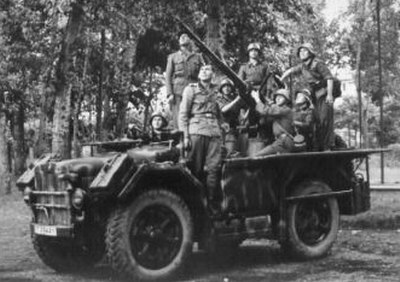 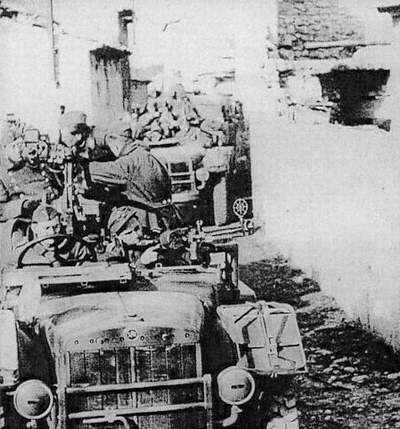 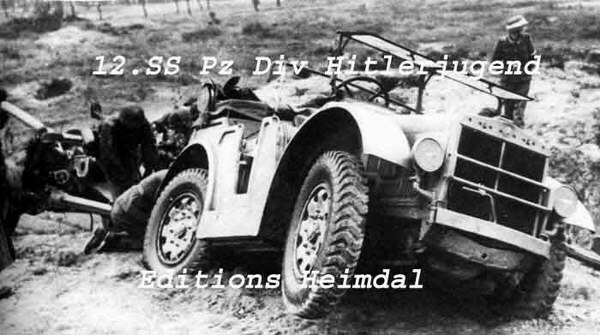 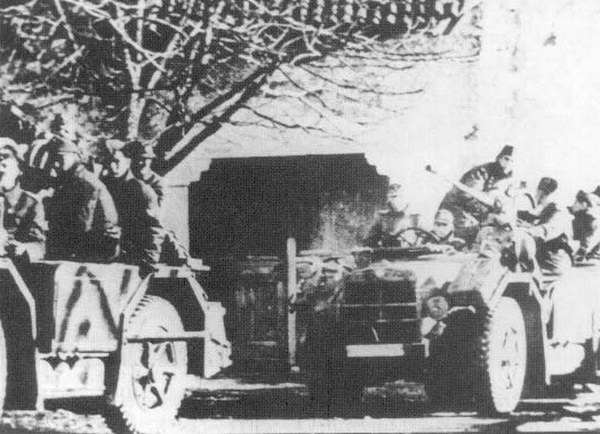 12SS pz-div, Division-Begleit-Kompanie.